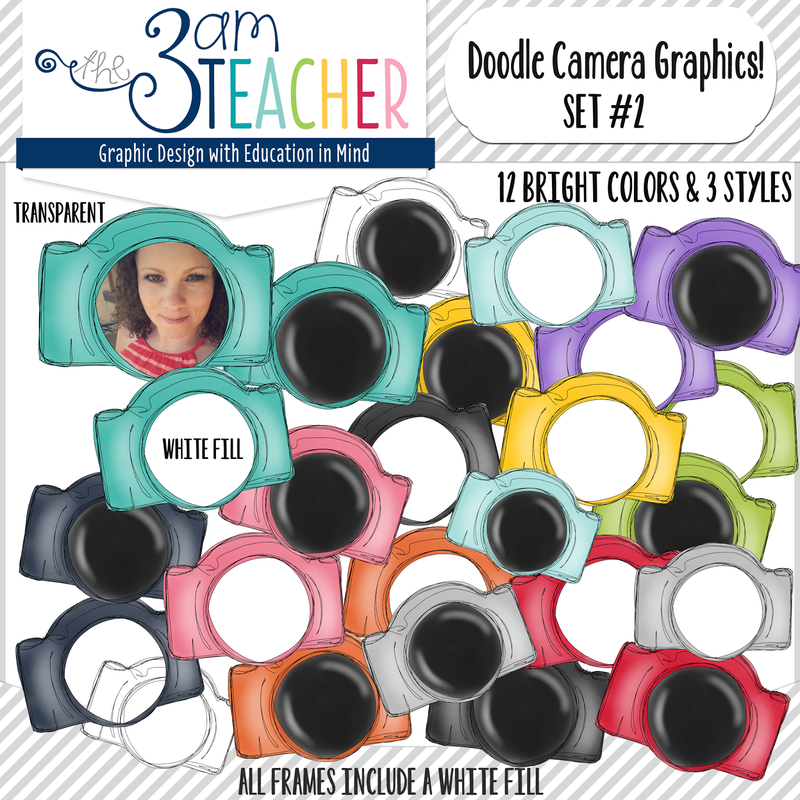 The 3am Teacher: New Doodle Camera Clipart Sets by The 3AM Teacher!! 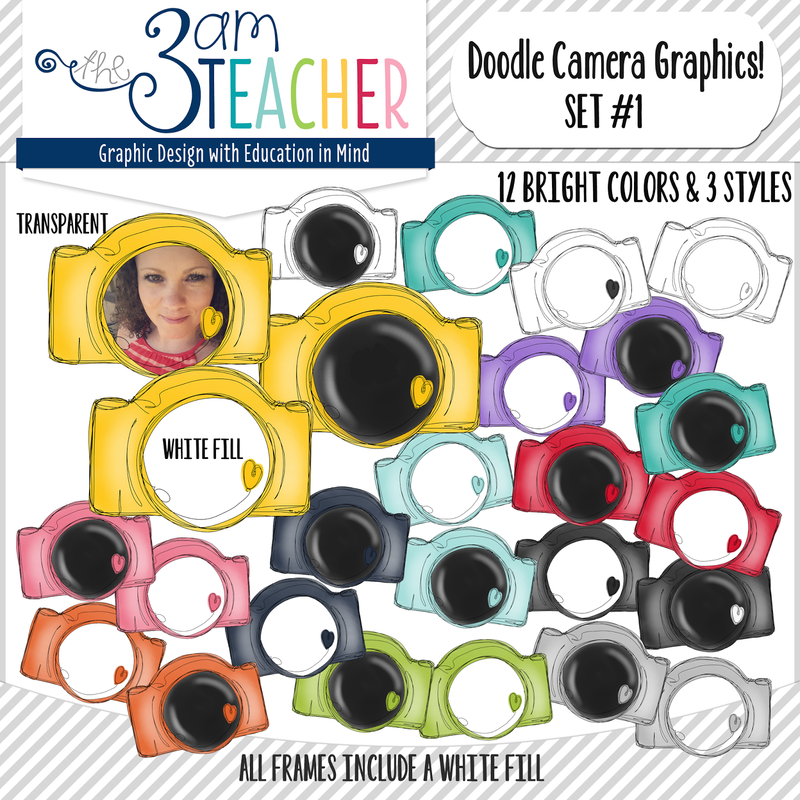 New Doodle Camera Clipart Sets by The 3AM Teacher!! While trying to keep up with the demands of custom blog designs, graphic design orders, web design orders, and keeping myself sane (when I can), I like to try to complete a few new clipart sets every month to keep the shops up to date!! I have been getting a TON of emails and messages from so many of you who are loving the doodle illustrations in the new Hello Planner, so I thought I would start a series of sets that will fit the theme and you will be able to use in many ways!! My new camera doodles include three styles in every color. There is one with a white fill, one with a transparent lens and one with a black lens. 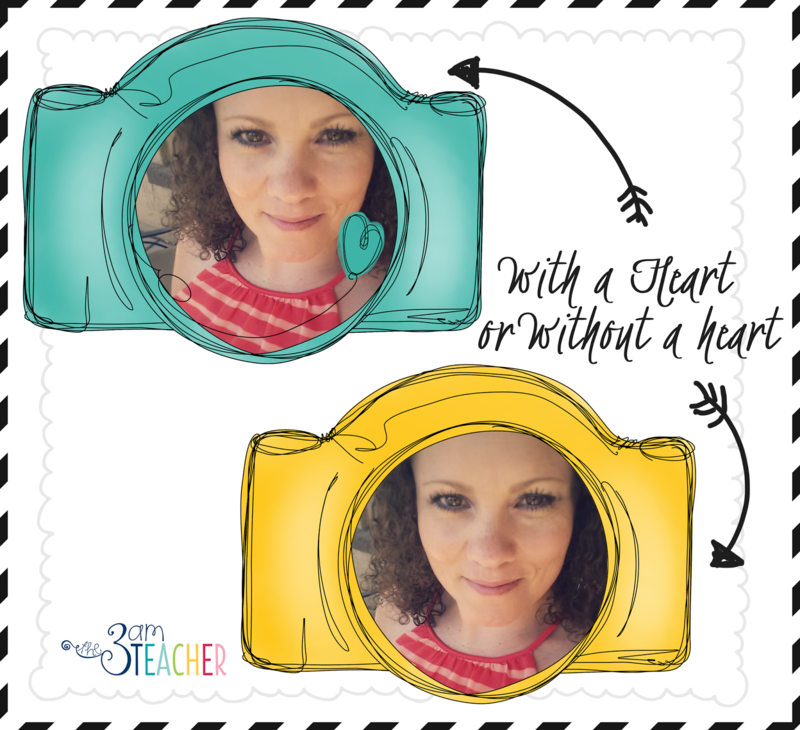 All are hand-painted digitally and ready for you to use in your amazing products on TpT!! I created a version with a transparent lens to be used as frames!!! Here is Set #1 - You can use the links below the image to check them out at any one of my online shops... TpT is having an extra sneaky one day sale.. just so you know... All day today!! Thank you for stopping by and I hope you are inspired to create something new everyday!! 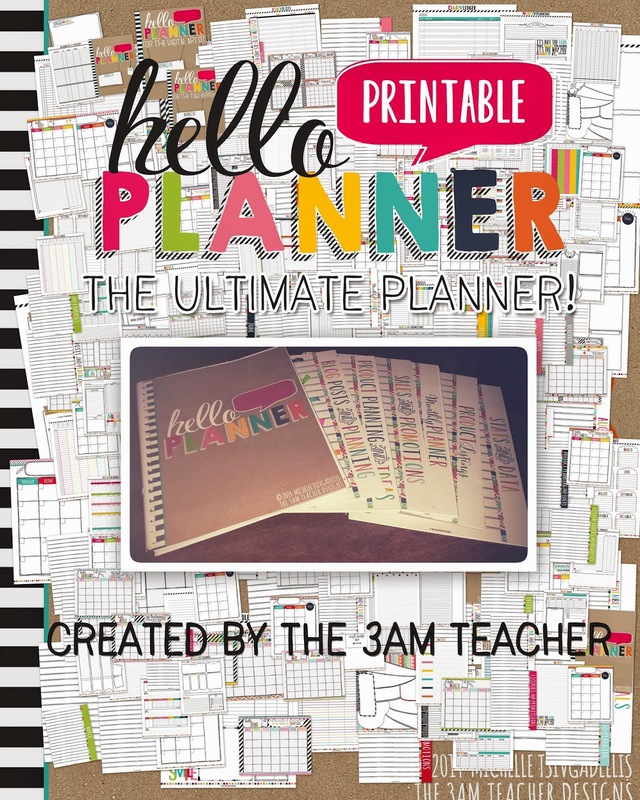 Don't forget to enter to win my new Hello Planner... Please pin and spread the word if you can.